EVEN THOUGH ARETHUSA GROUP IS A SMALL COMPANY I AM PROUD OF THE DONATION WE HAVE MADE TO THE AMERICAN RED CROSS. THANKS TO OUR CUSTOMERS, WHO BOUGHT PAPER AND PAPER BOARD FROM US, WE WERE ABLE TO CONTRIBUTE 1% OF OUR SALES WHICH AMOUNTED TO A $1500 DONATION. WE PLAN ON CONTINUING OUR EFFORTS TO HELP PEOPLE IN NEED IN OUR AREA. THE MAIN STREAM MEDIA MAY HAVE MOVED ON TO A NEW AND FRESH STORY, BUT WE WILL CONTINUE TO TRY AND MAKE A DIFFERENCE TO OUR FELLOW CITIZENS. 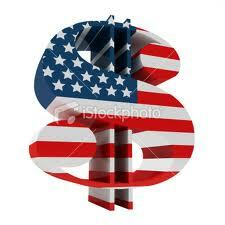 GOD BLESS THE CITIZENS OF THE UNITED STATES OF AMERICA. CELEBRITIES FROM OUR AREA, HELP OUR AREA! 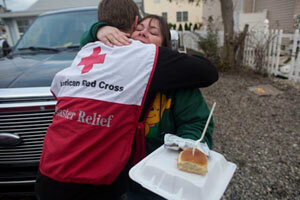 It is inspiring to witness and be a part of the effort to help our area rebuild from the destructive forces of Sandy. So many people continue to be a part of this massive effort to clean up and rebuild. The people from the NYC metro area continue to get assistance from numerous charities including the American Red Cross which will be receiving a donation shortly from Arethusa Group. Arethusa Group sells Xtreme Coated Cover and other grades of fine printing paper and paper board. Check our weekly specials for a list of our discounted inventory. The items in blue JUST ARRIVED. ALL OTHER ITEMS IN BLACK ARE PRIME DOMESTIC OVERRUNS FROM THE BEST BOARD MILL IN THE U.S. This weeks caption is an inspirational photo taken from above NYU Medical Center which had to evacuate once Sandy reared her ugly head. This is an image that is near and dear to my heart. The two warehouse buildings seen in this picture were severely damaged due to Hurricane Sandy. The far building is built on a pier and it was inundated by the storm surge. My friends at Eye Graphics and Printing had over eight feet of water in their manufacturing facility and have yet to re-open. This is one of many areas in the New York Metro area that has been affected by Hurricane Sandy. We at Arethusa Group are trying to do our part by donating 1% of our total sales to the American Red Cross through the end of 2012. If you would like to participate through us then place an order for the products we sell. I am proud to announce that through our efforts with our customers we have raised another $360 during the week of November 26th. This brings our grand total for just under two weeks to $870. Thank you to everyone who has participated! Let’s keep the momentum going. You can view our discounted inventory items in our Weekly Specials category. After the first week, donations going to the American Red Cross total $510. “We are off to a great start,” said Matthew Feldman from Arethusa Group. The hope is that Arethusa can make a substantial donation in the coming weeks to help the people who have been affected by Hurricane Sandy. If you would like to make a personal donation please visit http://www.redcross.org. 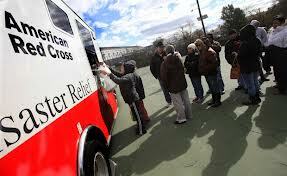 Arethusa Group began its campaign to donate 1% of its total sales to the American Red Cross on November 19th 2012. The campaign will run through the end of 2012. “So many people from our area have been affected by Hurricane Sandy and we wanted to do our part as a company,” said Matthew Feldman of Arethusa Group. During the holiday season we will keep our customers and friends updated as to our progress every week. Look for our posts every Monday to see the running total of contributions being set aside for the Red Cross in honor of the affected people from Hurricane Sandy. If you would like to donate to the Red Cross please cut and paste the link below in your browser. ALL OTHER ITEMS IN BLACK ARE PRIME DOMESTIC OVERRUNS FROM THE BESTBOARD MILL IN THE U.S. CALL ME FOR SPECIFICS.